Simply call our office to set up an appointment for a free, in-home design consultation. One of our designers will call you to schedule an appointment to visit your home. 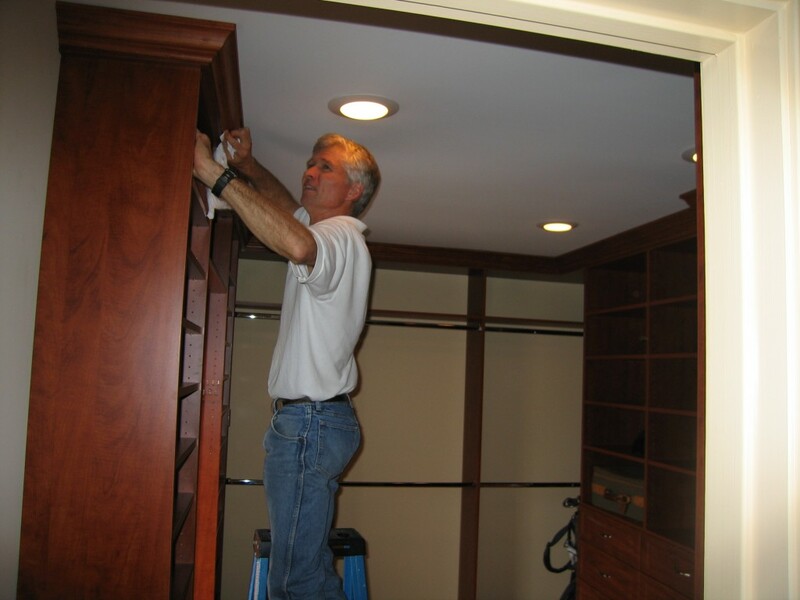 Upon arriving at your home, they will measure and evaluate the area where you would like our beautiful custom cabinetry. They will discuss with you what your goals are for organizing this space and make suggestions based on their knowledge and expertise. Our designer will produce a full-color, three-dimensional design that shows how your new storage area will look. Together, you will have an opportunity to discuss and revise these plans until they are exactly as you desire. The workshop team takes over from there and starts building your closet, home office, entertainment unit, laundry, garage shelving or pantry. The final step is completed on site, with our team installing the custom cabinetry to specification in your home. We proudly guarantee 100% satisfaction with both our products and our installation.